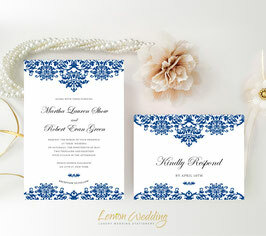 Invite your close friends and love ones to your once-in-a-lifetime wedding with our Damask Wedding Invitations. 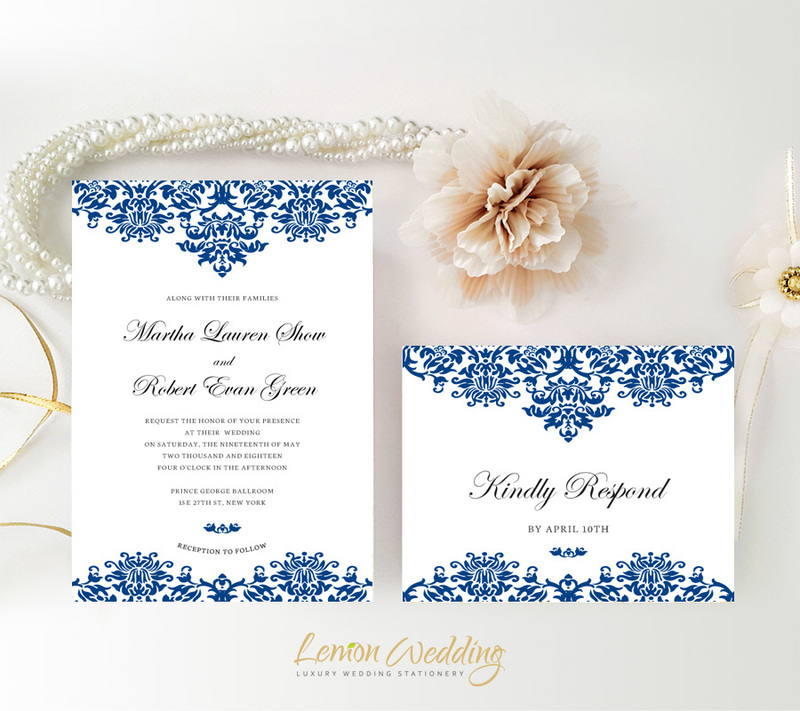 Our wedding invites will beautifully provide your guests with the important details of your wedding day. 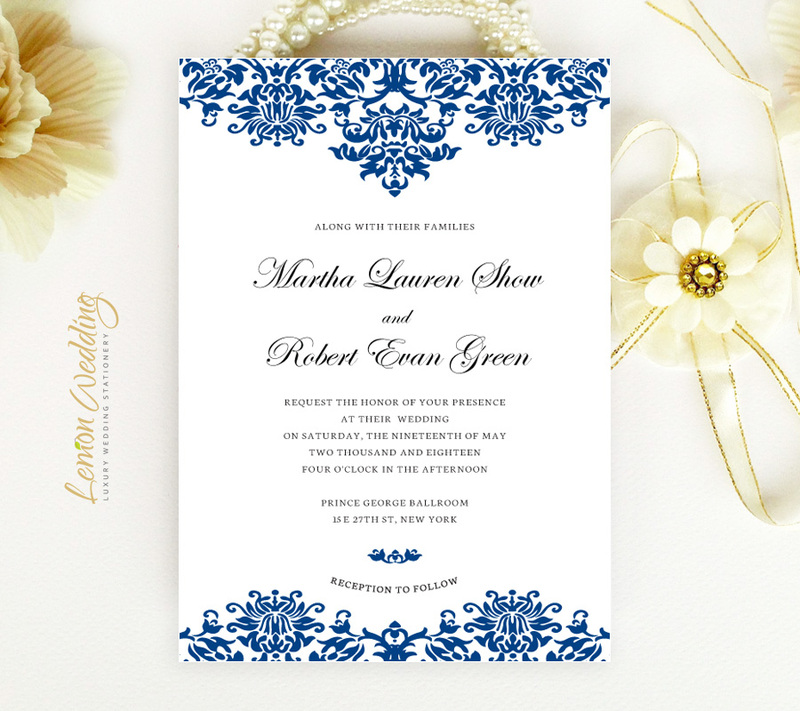 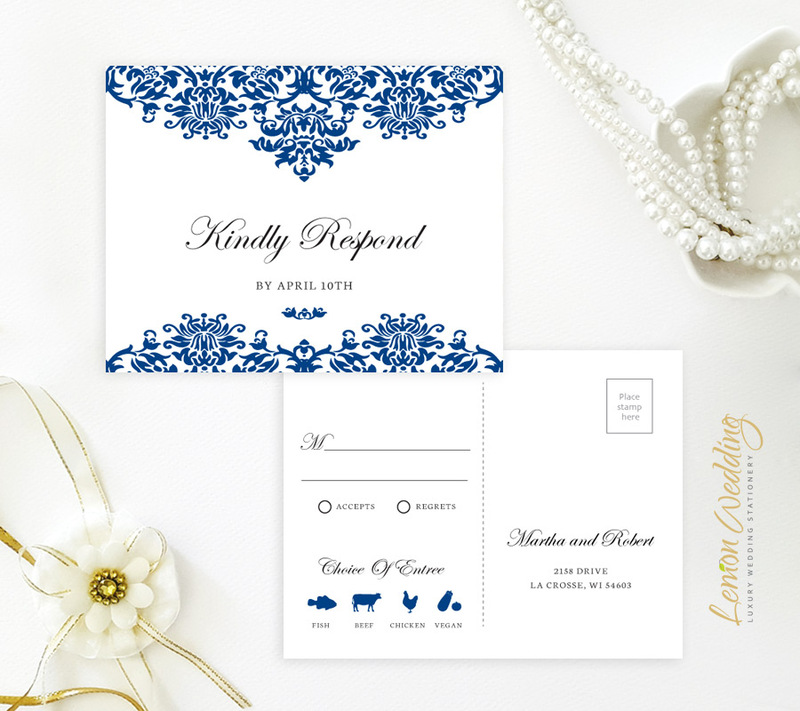 Printed on shimmering cardstock, our wedding invitations will showcases your details written in sophisticated font surrounded by royal blue damask.